If you’ve been holding your breath hoping that Blunderbuss would seamlessly carry forward the raw hard hitting garage grit a la (insert name of any White Stripes album here), you can exhale my friends. Because there are exactly three songs on Jack White‘s twelve track solo album that resemble the sounds of his musical past. If our words just burst your bubble of optimism, don’t be discouraged. After the breakup of the White Stripes, Jack White perseveres forward with Blunderbuss charting his new creative course with an even more appealing sonic direction. Upon first listen, there is a palpable sense of ease from the moment the steel slide guitar on the title track hits the air sending a warm tingling sensation throughout your body. The grassroots instrumentation throughout Blunderbuss adds to White’s much softer solo aesthetic that hearkens back to simpler days — you’ll be waiting to hear the sound of a pair of spoons or thimble covered fingers against a wash board. Given that the majority of the album leans toward White’s new direction, the handful of songs that White Stripes fans will adore feel a little out of place making the continuity of Blunderbuss feel a tad bit disjointed. Take the stark contrast between the lazy Sunday morning “On and On and On” with the subsequent track “Sixteen Saltines” with its grinding opening chords and White’s high pitched one-breath run on lyrical delivery jolting you out of that happy feeling of contentment. 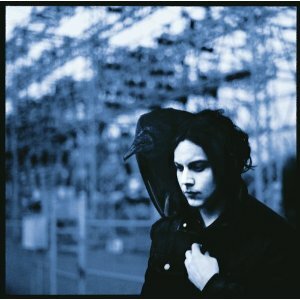 While the songs comprising Blunderbuss could have been more cohesive in tone, that dollop of Jack White circa early 2000s is enough to satisfy long-time fans while exposing them to the new world he created with nothing but his mind and his own two hands.